This edition is in The Island of Misfit Toys as I decided to change the design. The new design is coming soon and this is all that is left of this version. 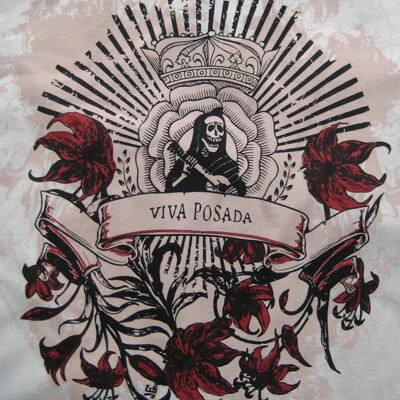 Viva Posada features a design of mine based on an engraving of a guitar playing Calavera by Jose Guadalupe Posada. Design is printed on a short sleeve 100% Fine Jersey cotton in New Silver. One of the softest, smoothest, best-looking T-shirts available. New Silver -Small 4 in stock. New Silver - Large 3 in stock. 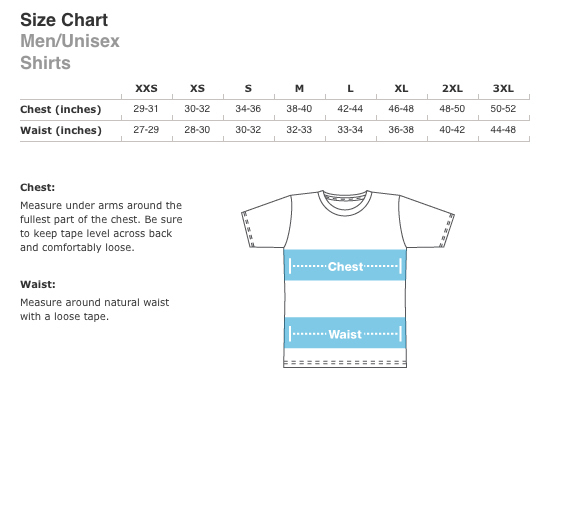 New Silver - X-Large 2 in stock. 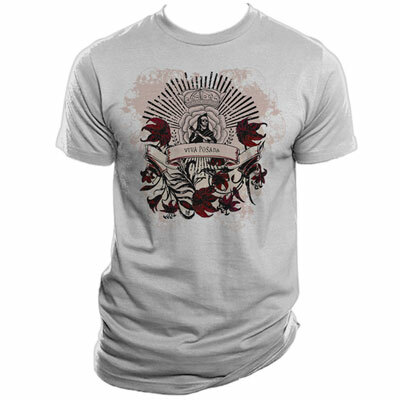 Heather Grey - Small 2 in stock. 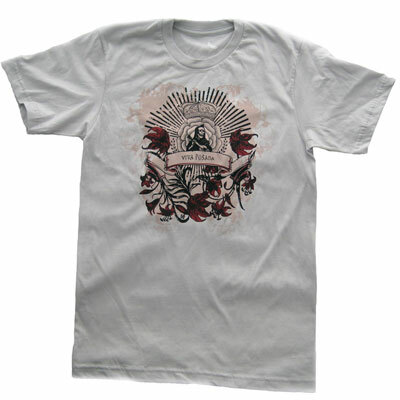 White - Large 1 in stock.